Just like school children have been doing for a hundred years or more, schools now must take a letter-grade report card home and explain it. In Arizona, schools now are being graded with an A through F letter system. Governor Jan Brewer signed SB 1286 into law in 2010. The new A-F letter grade accountability system was designed to give parents clear information that is easy to understand about how a school is performing. 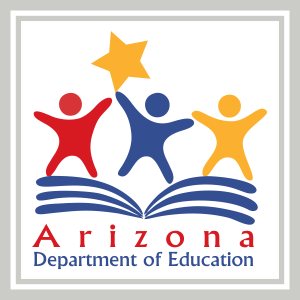 The current AZ LEARNS accountability system uses students’ scores on the Arizona Instrument to Measure Standards (AIMS) to determine a label for the school and school district. Labels are under-performing, performing, performing plus, highly performing and excelling. Of the five labels possible, the second from the lowest is “performing.” More than 90 percent of Arizona schools receive a performing or better label. With the new A-F letter grade system, parents will see a system they are used to seeing several times a year when their children bring home those report cards. The new A-F letter grade measures total academic performance by evaluating both academic results and academic growth. According to the Arizona Department of Education, the letter grades take into account the student demographics of each school, and the unique challenges they raise. “B” is for above average. “D” is for below average performance. “F” will be given only when a school receives a D for three years in a row. Then that school will be put into an improvement program run by the ADE.